← Science v humanities: a matter of presentation? This week Channel 4 have been running a superb series on British science and scientists, from the 17th century up to the present. 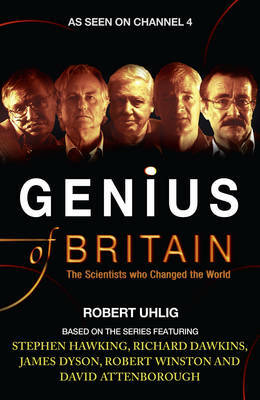 It was a beautifully produced, meticulous piece of television, with mini-biographies of British scientists down through the ages, narrated by well-known scientists such as Stephen Hawking, Richard Dawkins, Jim Al-Khalili and David Attenborough. Each night covered a different century, with scientists like Hooke, Wren, Boyle, Halley and Newton in the first episode, and Crick, Watson, Hoyle (with a link to Hawking’s work) and Hamilton (with a link to Dawkin’s work) in the last. 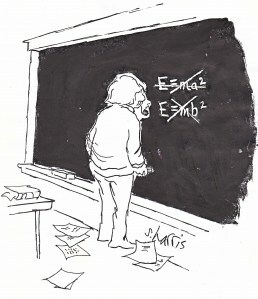 In between, one got to hear about other great, less-recognized scientists, such as Watt, Maxwell, Rutherford and Turing. All in all, it was a superb series, truly inspirational, with a great balance between the sciences. I thought the chronological approach worked really well in general. Of course, the nationalistic angle made nonsense of the story at times; one kept wondering why a crucial step was left out, then you remembered that this was not the story of science, but of British science; a strange angle from a scientist’s point of view. This might explain a few flaws here and there; for example, I thought the discussion of Fred Hoyle quite odd. Instead of discussing Hoyle’s major contribution to cosmology ( the carbon step in nucleosynthesis), narrator Jim Al -Khalili concentrated on Hoyle’s ‘steady-state’ theory of the universe. This reverence for Hoyle’s theory is baffling to non-British scientists; steady-state made very little impact in the world of science outside of Britain (despite huge media interest in Britain) and proved to be comprehensively at variance with the evidence. 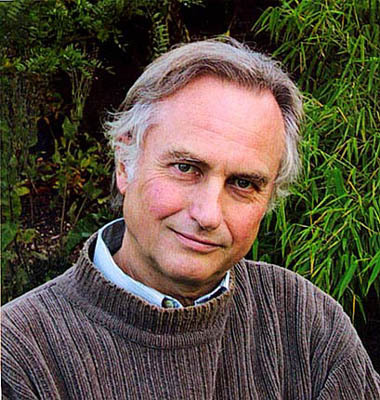 In the last part of the program, Richard Dawkins made the point that science is not undamentally about math, or experiments, but about asking questions. There ensued a fascinating short discussion between Dawkins and Hawking on the big questions. “What really happened before the Bang?” Dawkins asked Hawking. 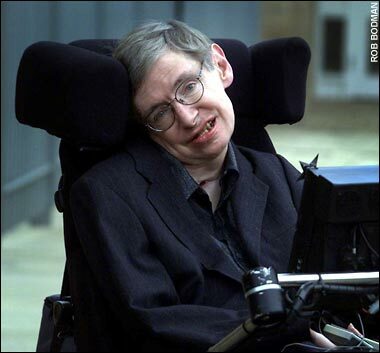 Hawking gave the standard, simple response – there is no before because time is part of the universe, as predicted by general relativity (he seemed surprised by the question, as was I). “Why are you obsessed with God?” It is exactly what I would have asked, but Dawkins seemed quite taken aback by the question. He responded initially by claiming that Stephen had brought up the question first, with his famous last line of A Brief History of Time (‘..for then we shall know the mind of God’), which isn’t much of an answer. However, Richard then said that his main problem with religion is that religious explanations for nature are a distraction from the real path of finding out have things work.. fair comment! The Irish Times reviewed the series in their weekend review; sadly, it wasn’t a very good piece, focusing almost exclusively on the fact that Robert Boyle was Irish not British. A fair point, but where was the rest of the review? Im not sure Dyson belongs in a book about geniuses alongside the likes of Professor Hawking! Magnificent series, Boyle? As an Irishman, i do not need the Irish Times to tell me what i already know, what balderdash! They seem to focus on the most insignificant detail while losing sight of the real issue – which is the wonder and majesty of the universe, which makes quarrels of patriotism seem petty and childish! Exactly – and if that is the standard of the review of a topic familiar to me, I can’t help wondering if are all her reviews equally poor..
Is there something interesting in terms of recent developments in research in the US about ‘God particles’? If so, can you explain in simple terms what it is all about? P.S. Today’s newspaper stories on the God particle are founded on an unpublished paper – forget it.